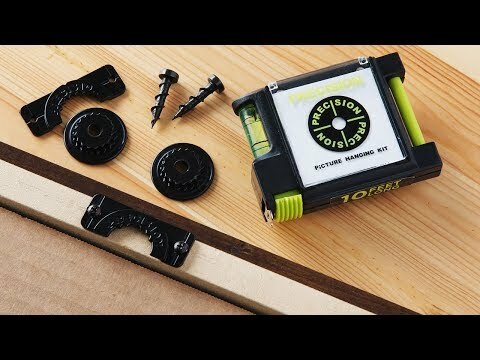 This picture hanging hardware kit makes putting up frames, mirrors, and other wall décor—up to 50 pounds—easier and more streamlined. 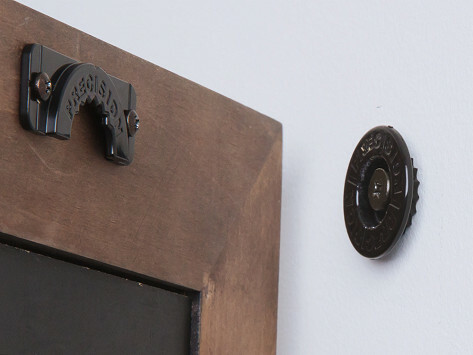 The two-piece locking system is designed to let you find the just-right picture placement before making it permanent, without unnecessary wall scuffs, holes, and marks. Bumpers are included, too, to protect walls and keep your picture positioned perfectly. Adhesive-backed wall hanger marks spot without permanent marks, scuffs, or unnecessary holes. Each holds up to 50 lbs. Dimensions: 8.25" x 4.5" x 1.08"
Simple and sturdy- Recently had an expensive piece fall off the wall. That will not happen again with this system. Thanks. Now there’s no need for a hammer and nails. And no need for guesswork and wall-wounding adjustments. You’ll get a perfect placement, every time.